Software company, Retrivika™, attends the fifth annual Techcrunch “Disrupt NY 2014” to present its innovative industry changing eDiscovery SaaS offering. 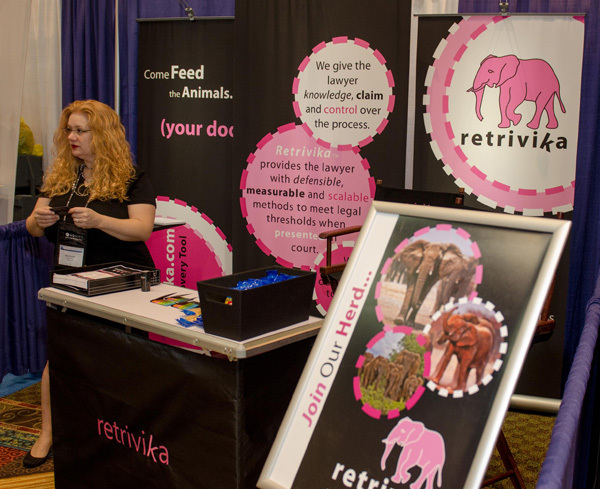 New York, NY, 6 May 2014: To celebrate the launch of its new eDiscovery Cloud offering, Retrivika™ marches the herd into Startup Alley at the Manhattan Center on Tuesday, May 6, for the Techcrunch “Disrupt NY 2014” Conference, Enterprise Category. After four years of research and development, the new SaaS offering is a welcome addition to Retrivika’s™ product line that already features it’s industry leading on-premise legal eDiscovery platform. “This conference allows us the opportunity to not only interact with other technology innovators, but to be part of a community of other technology disruptors. I can’t think of a better place to debut our new cloud offering,” said CTO/Co-Founder, Warren Fridy. 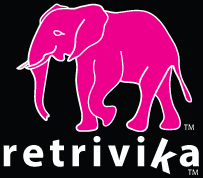 Retrivika™ is focused exclusively on legal eDiscovery. Its technology gives an edge to users providing quick and easy results while uncovering potentially significant searchable relationships in the source information. Many eDiscovery tools in the market today are difficult for the average user to understand and use effectively. Retrivika™ knows it is important to the legal community that eDiscovery tools are reliable, easy to use, and the results defensible. Industry research shows that complex technologies and confusing workflows can also increase the risk of error and omissions. With these factors in mind, Retrivika™ developed its disruptive legal discovery technology to remove complexity, simplify workflow and reduce errors and omissions. Gartner expects the eDiscovery market will grow by about 15% annually, from $1.7 billion in 2013 to $2.9 billion by 2017. This growth is due in large part to two factors: increasing volumes of litigation and regulatory investigation and the growing volume of content and data that must be searched in support of these activities. 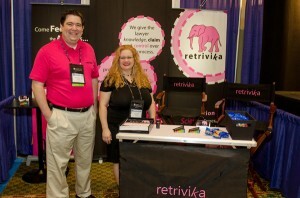 About Retrivika™: Retrivika™ offers a new approach to collaborative legal eDiscovery. 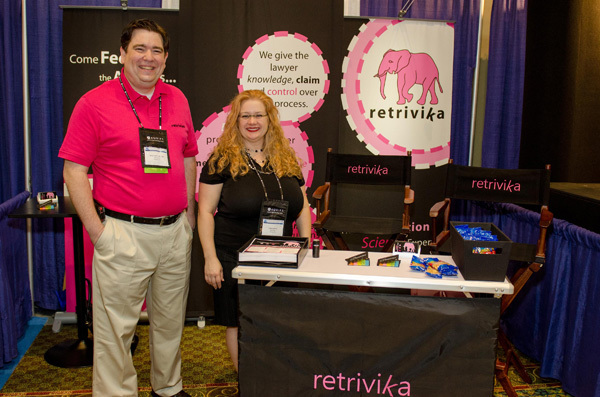 As a software development company that specializes in innovative, proprietary data search algorithms, Retrivika™ designs a suite of software products that lighten the load of searching through massive amounts of electronically stored information (ESI) for legal professionals. 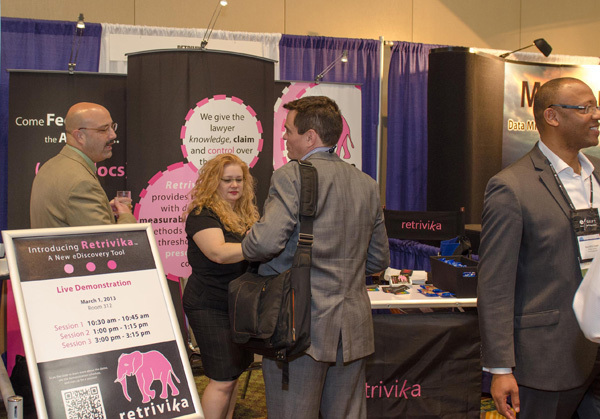 With a patent-pending large collection review application, Retrivika™ shortens the review process by giving the legal professional products that are easy to use and intuitively lets users drive the exploration process and quickly return relevant, responsive documents. Come feed the animals your docs! TechCrunch Disrupt NY 2014 is TechCrunch’s fifth annual conference in New York City. The format combines top thought-leader discussions with new product and company launches. Morning executive discussions debate technology-driven disruptions in many industries, while the afternoons are reserved for the Startup Battlefield, where some 30 new companies will launch for the first time onstage, selected to present from numerous applications received from around the world. The winning company will receive a $50,000 grand prize and the Disrupt Cup at the conclusion of the conference. The conference is May 5-7, 2014 at the Manhattan Center, 311 West 34th Street (at 8th Ave.) Manhattan.